In a statement, the state Publicity Secretary, Bemgba Iortyom, said on Saturday that the party�s team of lawyers would be challenging the votes at the Governorship Election Petitions Tribunal sitting in Makurdi. 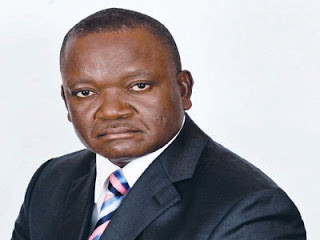 �From the reports, the PDP leaders met and concluded that given the party�s acceptance across the state, its candidate, Governor Samuel Ortom, would certainly have posted a wider margin of votes against his closest rival, if it were not for the irregularities. �The party also notes that the results of the presidential, National Assembly, governorship and state assembly elections indicated clearly that the PDP was the preferred choice of the people of the state. Jime on Friday in company with five Senior Advocates of Nigeria and over 50 other lawyers filed the petition at the tribunal�s headquarters, High Court 6 in Makurdi. In a statement, the Deputy Director, Jime Campaign Organisation, Kula Tersoo, quoted his principal as saying, �You will recall that after INEC had announced Mr Ortom of the PDP as winner of the last election in the face of very glaring manipulation and primitive rigging, I promised my supporters, party faithful and the good people of the state who earnestly yearned for a true change that I could not afford to keep mute for their goodwill to be tampered with.